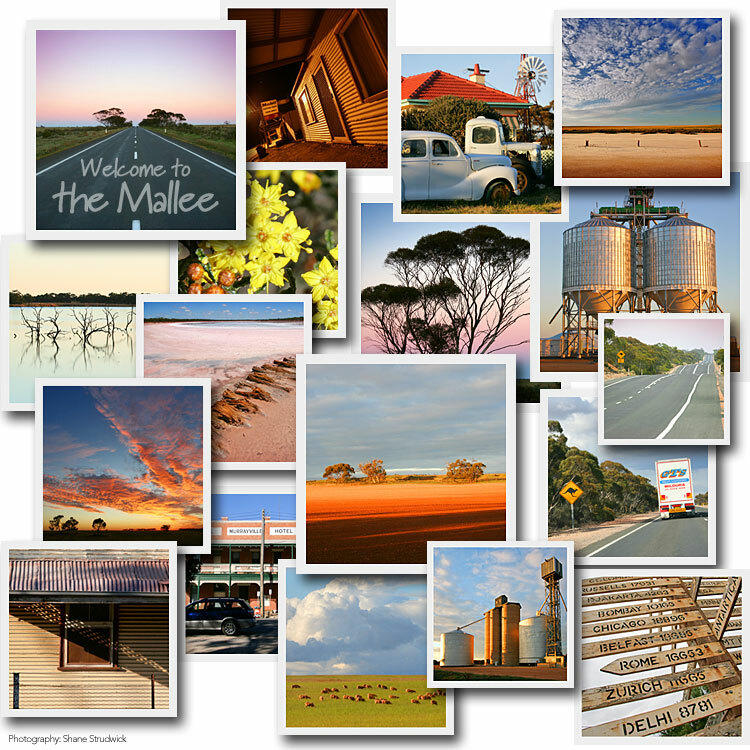 The Mallee regions in South Australia and Victoria are unique. A great place to understand and learn about the pioneering heritage in Australia and it's farming importance in both states. Explorers and squatters disliked the mallee because it contained very little water or grass for stock. Therefore, the land in the Murray Mallee region with access to the River Murray floodplain was first used for sheep grazing. In the 1870s, instead of viewing the Mallee as useless because it could not support a small intensive European farm, it took on enormous value when considered as an extensive farming system for cereal crops. Large scale Mallee vegetation clearance schemes rapidly followed. Charles Mullens developed a crude but effective technique for cleaning extensive areas of mallee scrub for wheat growing. This enabled mallee land to be profitably utilised by greatly reducing the expense of clearing. In 1913/14, the completion of railway lines led to the main period of settlement in the Murray Mallee region. The 1920s were the major period of vegetation clearing and development, and wheat growing was the main enterprise. In 1948, the Murray Mallee District Soil Conservation Board was formed, to provide leadership and soil conservation and landcare. This large distinctive ground-dwelling bird is about the size of a small turkey. It has strong powerful legs, short bill and a flattish head. Predominantly grey in colour it has black, brown and white patterned back and wings. It is the master of camouflage. When standing motionless in dappled shadows it is almost impossible to spot. Autumn: The bird opens a depression about 300cm wide by 90cm deep. The soil is tossed to the edge to a height of about 45cm. June–August: Organic material is collected (leaves, bark, twigs) and piled into the depression. Work then stops until sufficient rain has fallen to thoroughly soak the organic material. Once enough rain has fallen the material is covered by a layer of sand, sometimes up to a metre thick, and the material underneath begins to decompose. Mid–late August: The male continually tests the mound for temperature by poking his bill into it. The decomposing material needs to reach temperatures of between 26°–30° before egg-laying commences. Late September: First egg laid. The female signals by a low hunched approach and continuous crooning. The male opens the egg chamber which may take between 20–120 minutes. Once the egg is laid the chamber is covered. All eggs are laid at separate intervals sometimes over a period of three months. The incubation is by fermentation of organic material and solar power. Incubation takes between 7 –9 weeks. November–December: The male bird adds or removes soil from the mound to maintain the constant incubating temperature. December: Chicks hatch. Birds are fully feathered at hatching and struggle to the surface of the mound unaided. They immediately leave the mound and seek shelter in the mallee scrub. Within 2–3 hours they can run swiftly and feed. There is no contact with either parent bird. Most of the fauna species (such as the Mallee Fowl) are threatened by loss and fragmentation of habitat, along with pressures from wildfire and feral animals, especially foxes and cats. The clearing of deep rooted Mallee trees has greatly increased the amount of rainwater entering the groundwater system. Groundwater has risen and several low lying areas have become salt pans where groundwater is now within 2 metres of the land surface. 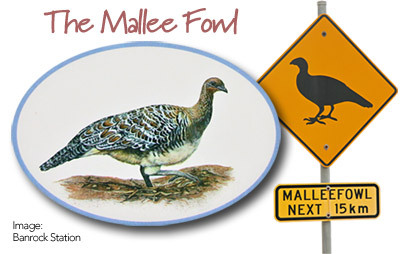 Please take care in the Mallee Fowl's habitat.